Sausage gravy and biscuits are a southern breakfast favorite. Light, fluffy, biscuits topped with a creamy yet spicy gravy. 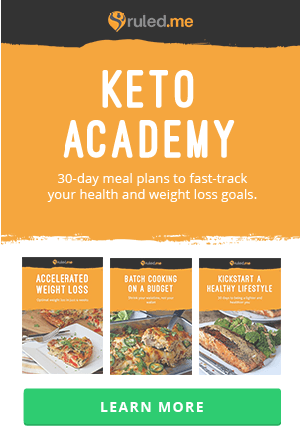 This stick-to-your-ribs meal will keep you full for hours. 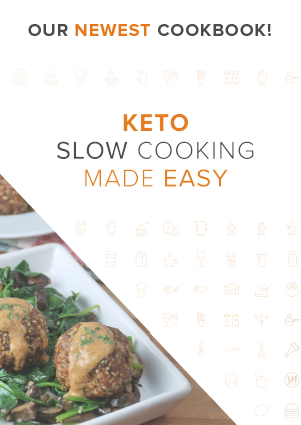 Unfortunately, traditional biscuits are not on the keto menu but this recipe includes a great low-carb biscuit topping that really mimics the original. It also comes in casserole form making it a great option for a holiday brunch or special get-together. Almond flour is a wonderful flour substitute for the drop biscuit topping. 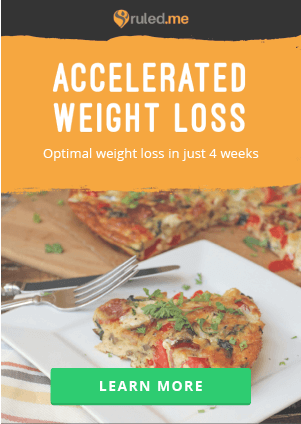 A few special tips keep it light and fluffy like the traditional version. The first tip is to use frozen or very cold butter. 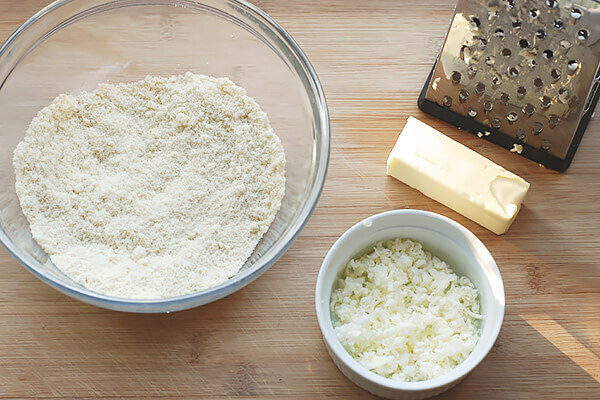 I use a box grater to grate the butter right before adding it to the flour. Then use a fork to gently combine it with the flour and create coarse crumbs. 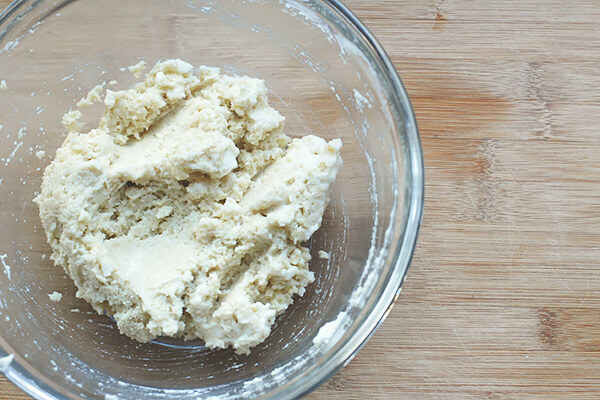 This method keeps the butter from melting into the mixture. When baked the butter will melt and create little air pockets in the dough. 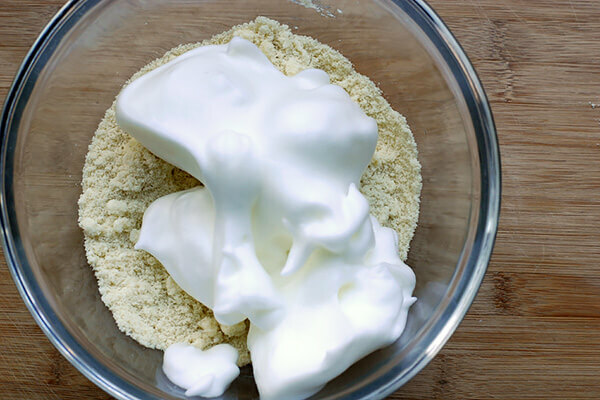 The second tip is to use whipped egg whites. Gently folding them into the flour also keeps lots of air in the dough and results in a lighter biscuit texture. Black pepper adds great spicy flavor to the gravy. If you like things really spicy, hot breakfast sausage can be used as well for an extra kick. Be careful when adding salt, make sure to taste before you add any to the sauce. Different brands of sausage and chicken stock can have varying levels of salt already so you don’t want to add too much. 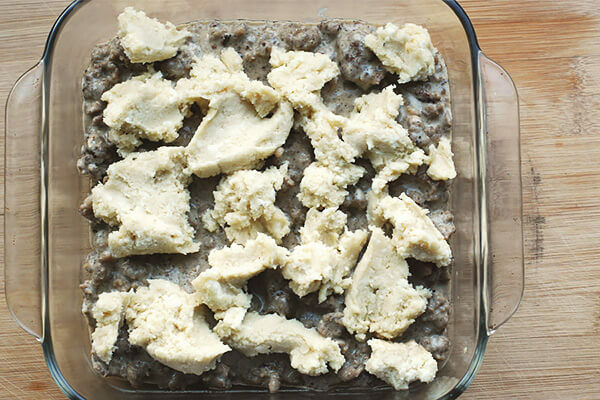 This recipe makes 6 servings of sausage gravy and biscuit bake in an 8 x 8 casserole dish. It can easily be doubled into a 9 x 13 pan if you’re feeding a crowd (or just want lots of leftovers for breakfast during the week.) The biscuit portion of the recipe below is also very versatile. I often drop the dough on a sheet pan to make individual biscuits for breakfast sandwiches, or to top with butter and sugar-free jam. They freeze very well too! 1. 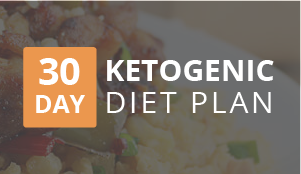 In a large bowl whisk together the almond flour, baking powder, and ½ teaspoon xanthan gum. 2. Grate the frozen (or very cold) butter. 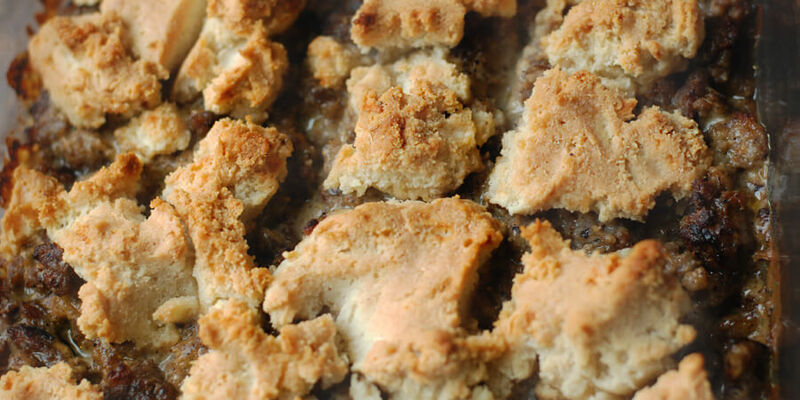 Mix into the flour mixture with a fork until it resembles coarse crumbs. Set aside. 3. 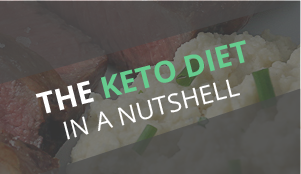 In a separate medium-size bowl beat the egg whites to stiff peaks. 4. Gently fold the egg whites into the flour mixture with a rubber spatula until just combined. 5. Chill the biscuit mixture in the refrigerator while making the gravy. 6. In a large skillet brown the sausage over medium heat. 7. 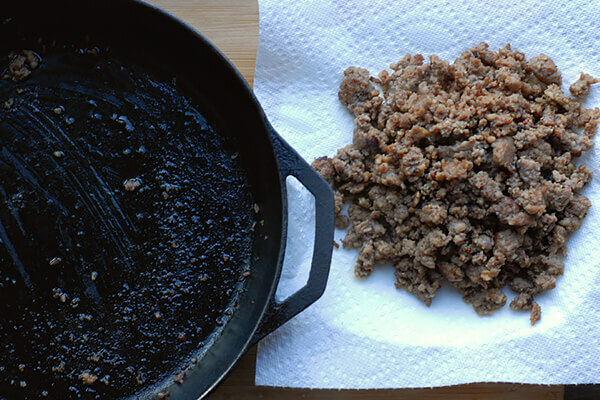 Remove the sausage to a paper towel-lined plate to drain the excess grease, reserving about a tablespoon of fat in the skillet. 8. 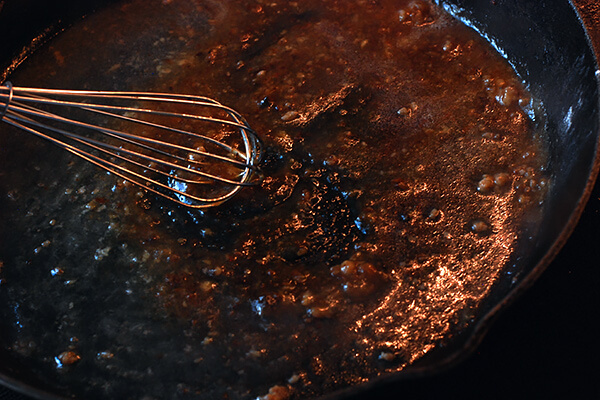 Turn the heat to medium-low and sprinkle 1 teaspoon of xanthan gum into the grease, whisking constantly. 9. Cook the xanthan gum for about a minute until lightly browned. 10. Whisk in the chicken stock, onion powder and black pepper. Bring to a simmer and allow the gravy to thicken about 5 minutes. Taste at this time and add salt if needed. 11. Whisk in the half and half and continue to simmer until the gravy is thick and creamy, about another 3 minutes. 12. Stir the cooked sausage into the gravy and remove from the heat. 13. Preheat the oven to 375°F degrees. 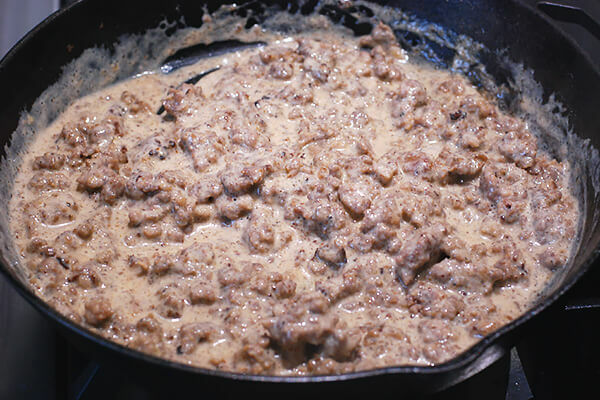 Pour the sausage gravy into an 8×8 casserole dish. 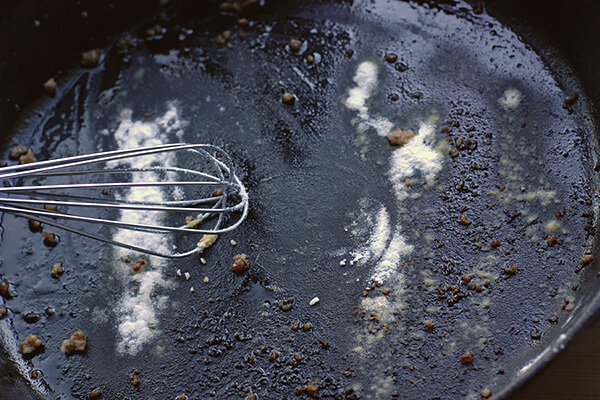 Drop the biscuit mixture on top of the gravy in small spoonfuls, distributing as evenly as possible. The mixture will be thick. 14. Bake for 18-20 minutes until hot, bubbly, and the biscuits are baked and browned. 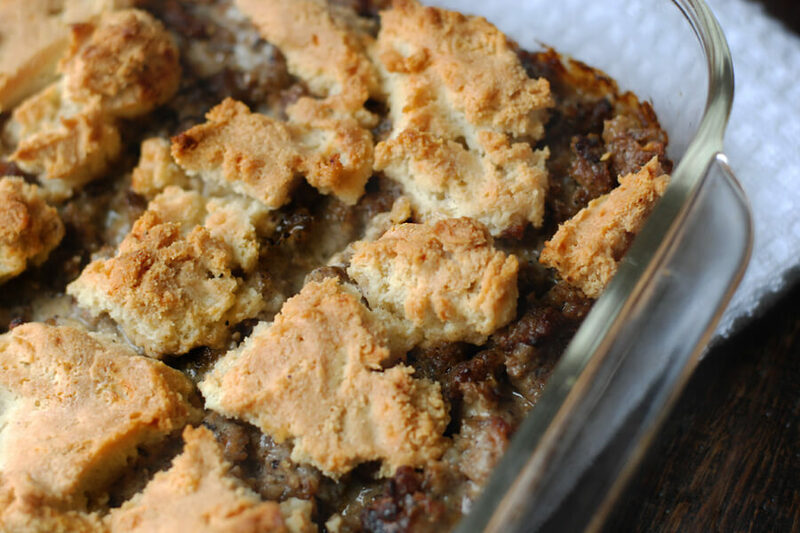 This makes a total of 6 servings of Sausage Gravy and Biscuit Bake. 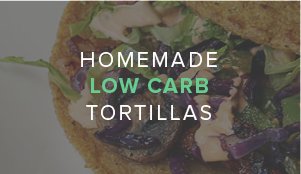 Each serving comes out to be 374.67 Calories, 33.21g Fats, 4.75g Net Carbs, and 14.48g Protein. 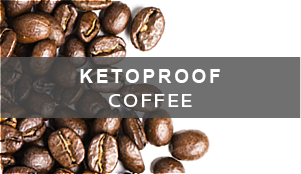 In a large bowl whisk together the almond flour, baking powder, and ½ teaspoon xanthan gum. Grate the frozen (or very cold) butter. 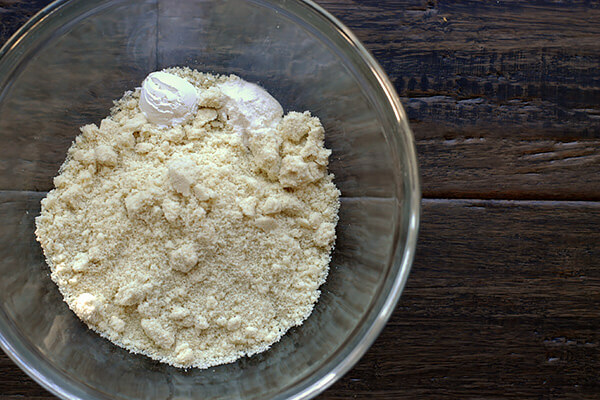 Mix into the flour mixture with a fork until it resembles coarse crumbs. Set aside. In a separate medium size bowl beat the egg whites to stiff peaks. 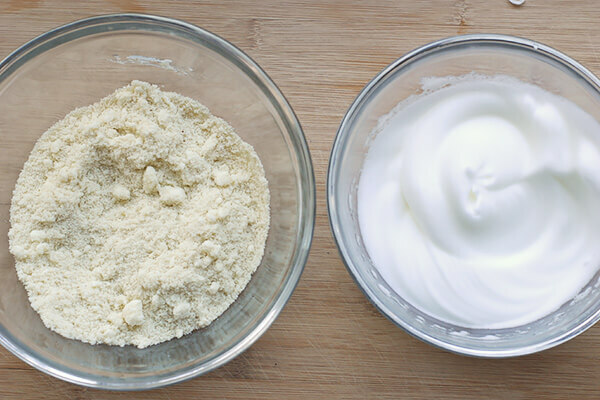 Gently fold the egg whites into the flour mixture with a rubber spatula until just combined. Chill the biscuit mixture in the refrigerator while making the gravy. 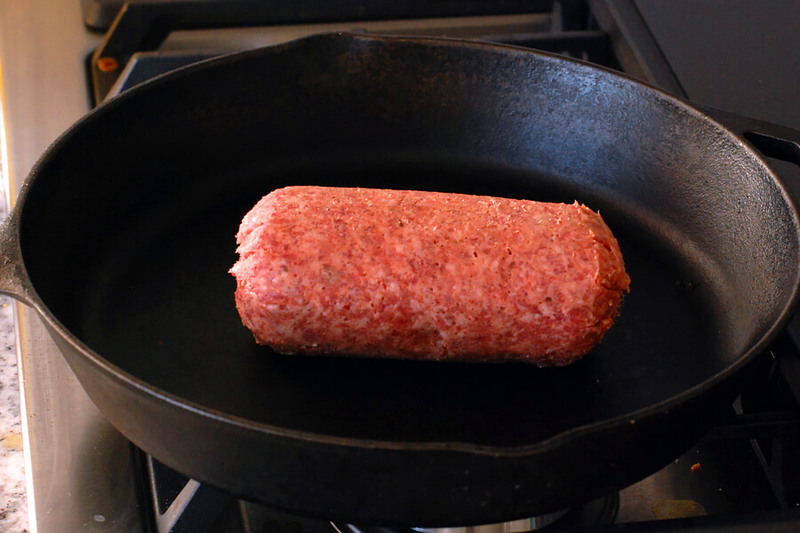 In a large skillet brown the sausage over medium heat. Remove the sausage to a paper towel lined plate to drain the excess grease, reserving about a tablespoon of fat in the skillet. 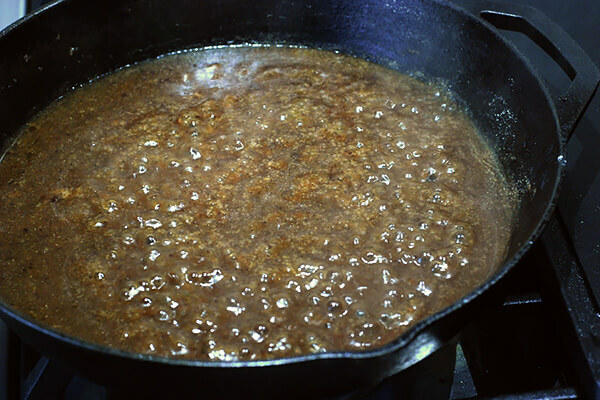 Turn the heat to medium-low and sprinkle 1 teaspoon of xanthan gum into the grease, whisking constantly. Cook the xanthan gum for about a minute until lightly browned. Whisk in the chicken stock, onion powder and black pepper. Bring to a simmer and allow the gravy to thicken, about 5 minutes. Taste at this time and add salt if needed. Whisk in the half and half and continue to simmer until the gravy is thick and creamy, about another 3 minutes. Stir the cooked sausage into gravy and remove from the heat. Pour the sausage gravy into an 8x8 casserole dish. 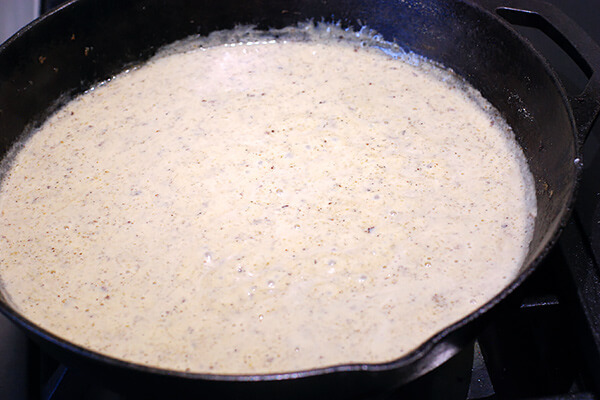 Drop the biscuit mixture on top of the gravy in small spoonfuls, distributing as evenly as possible. The mixture will be thick. 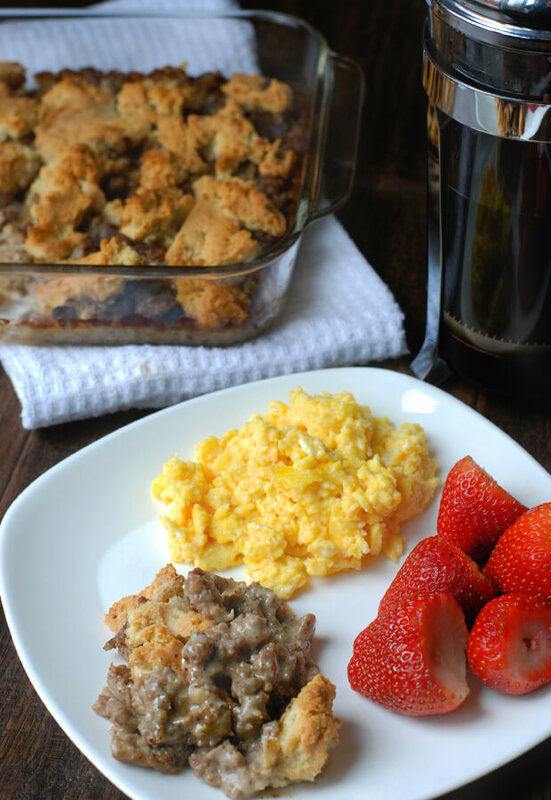 Bake for 18-20 minutes until hot, bubbly, and the biscuits are baked and browned.